There’s a bloodthirsty competition brewing in the transportation space. Top honchos like Lyft, Uber and Hailo have caused a disruption in the taxi industry worldwide with the launch of their mobile apps allowing people to book taxis at the push of a button! Conventional taxi businesses have already started facing the brunt of stiff competition as their customers are gradually shifting to services like Uber that promise to offer reliable pick-up services with a standard. While your business resorts to the age-old method of booking pick-ups (via phone calls), players like Uber are acting as matchmakers between drivers and passengers using real-time mobile technologies. Estimates suggest that taxis lose close to £25 million every day just because people are not able to find a car. Your customers are drifting away in packs, you did never imagine! So, where do you think the Achilles Heel of your business lies? If your customers need to call you to book taxis, take a step back and think about the kind of experience you are delivering. Imagine a potential customer waiting outside in the inclement weather and he/she needs to call you for pick-up. You then confirm the booking and there goes your taxi. All this takes minutes and keeps the customer waiting. In an era, wherein customers want speed, the booking should take less than a few seconds. However, thanks to the outdated systems and you keep losing customers every time. Since you accept bookings through phone calls, there’s a lot of staff and back-end processes you need to manage. It eats up your precious time. Your competitors are using cut-throat tactics to pull your customers towards them and by not using technology; you are digging your own grave! If you are not measuring the productivity and efficiency of your drivers, you are committing a big mistake. Traditional taxi businesses have no way of monitoring what their drivers are up to. This leads to under-utilization of your resources further aggravating your bottom-line problems. Booking taxis through phone calls are gradually becoming unreliable. Plus, the manual processes add to the problems. Passengers need confirmed, reliable pick-ups on time. If your business is failing to fulfill their basic need, you are losing that customer forever! Because you are using outdated systems, your passengers are completely unaware about the ratings & reviews of your drivers. A slight discomfort caused during the journey leads to bad experience hurting your reputation. You have reliable, professional drivers but your prospects are completely unaware of the fact that they are available to pick them up from various points like bus stops, airports, stations etc. Remember, this is a huge opportunity you are missing out on. It, further, adds to the existing woes of your business. Most of us depend on our hand-held devices for almost anything including taxi booking. Mobile offers limitless opportunities to modernize your taxi business and take it to the next level. Your competitors are already investing in Custom Taxi App Development to elevate their customers’ experience. Passenger Application – Your customers download this app (iOS or Android or Both) on their device. They register and sign up. They see drivers nearby their present location and with one touch they will be able to book a taxi. A completely different way to hail a cab, isn’t it! What’s more, an interactive Google Map View allows them to track drivers approaching them. Plus, the payment is made via credit card so there’s no question of cash exchange and tip. Driver Application – Drivers can register and sign up. They get booking requests on the go! In as few as 40 seconds, the passenger gets confirmation for pick-up. A driver has the option to accept or reject a request depending on his availability. The beauty of this solution is that drivers also receive pre-booking requests for a particular city, date and time. Reminders are sent to each party before the pick-up. Web-Based Admin – As the cab business owner, you have access to a master admin panel through which you get to manage drivers and your taxi fleet. You can view and monitor your drivers in real-time and manage them more efficiently. Add to it, you get to see driver history, ratings and reviews etc. A Taxi Booking Solution is 100% Customizable depending on the needs of your customers and business. As a white-label solution, it’s custom-made for different platforms like iOS and Android to help grow your taxi business in the most cost-effective manner possible. The need of the hour for taxi companies like yours is to go the mobile way! With a mobile app in your arsenal, you can easily counter your competition, retain customers, attract new ones and most importantly deliver a WOW passenger experience. 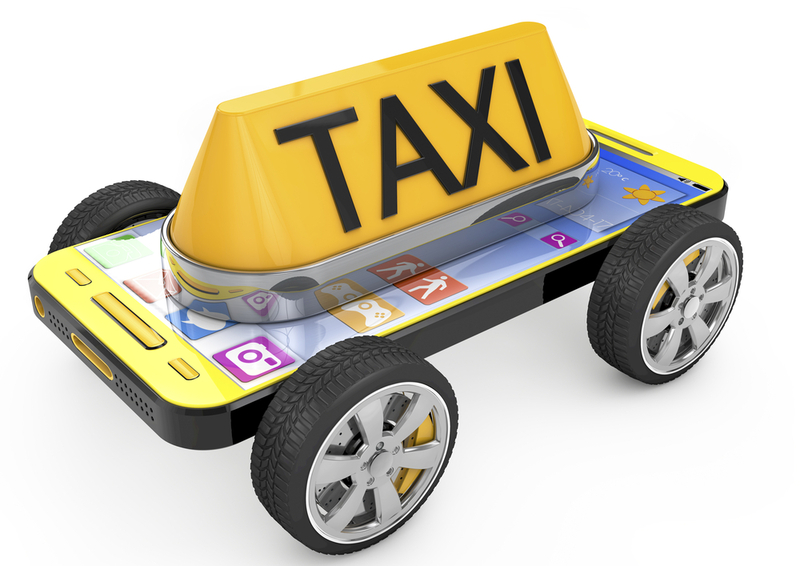 Are you using a mobile taxi booking solution to grow your business? If YES, what’s your experience like? Share your insights in the comments below.